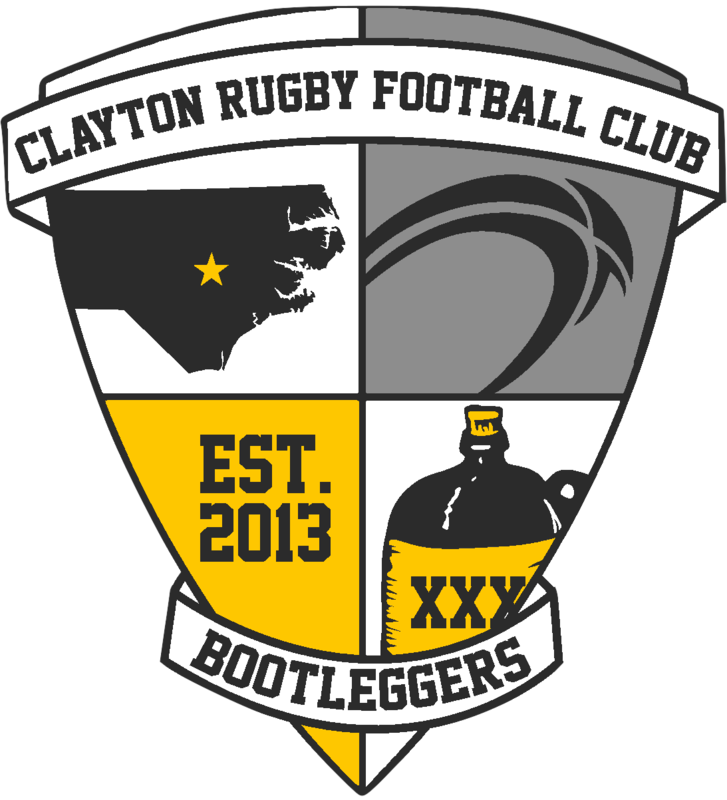 CLAYTON, NC – Another year, another great CottonTown 7s Rugby Festival is in the books. After hosting 18 teams for the inaugural tournament in 2016, the Clayton RFC brought in 30 teams for this year’s event. The tournament packed out East Clayton Community Park making it one of the largest summer tournaments played in the Carolinas. Over 60 matches were played throughout the day as the CottonTown 7s Crowned Champions in four separate divisions. The Men’s Division started the day with fifteen teams. After the conclusion of pool play, teams were seeded based on their results into the Club Division and the Whole Hog (Social) Division. The Club Division was a hotly contested group that included the hometown Bootleggers who picked up the #3 seed after going undefeated in pool play. The Bootleggers soared past Camp Lejeune 36-10 in the quarterfinals, but ran up against a tough Chapel Hill side in the semifinals. The clubs were deadlocked at 19-19 when Chapel Hill scored a last minute try to move onto the finals with a 26-19 win. On the other side of the bracket, Southern Pines and Charlotte, who are both representing the Carolinas at the South 7s Championship next week, met in the semifinals. Southern Pines advanced to the championship with a 26-10 win. Just as the Club Championship was set to begin, weather struck and the match was delayed due to the lightening policy. In the true spirit of rugby, both clubs agreed to Co-Champion status instead of waiting out the storm to play the last match. Triad took home the Bowl (consolation bracket) title in the Club Division with a narrow victory over the Charlotte Barbarians. In the Whole Hog/Social Division it was the Tobacco Road Hobos, a group of NC State Alumni, that took home the title with a narrow victory over Fort Bragg. New Bern took home the Bowl trophy in the Social Division with a win over the Carolina Colts. The Women’s Club Division was a new addition to the tournament and it was a great one. Six teams made the trip to Clayton this season and made for a welcome addition to the festival. The SheWolves and Camel Toes topped each of their respective pools getting an automatic bye into semifinals. The SheWolves, made up of NC State players, took on the Lady Toes in their semifinal and came away with a 36-0 victory to advance to the championship game. The Camel Toes took on Raleigh in the other semifinal and dispatched the Vipers to advance to the finals. In the Championship game, the SheWolves and Toes battled back and forth with a late score from the Toes sealing a 24-21 win and the title. The Columbia Bombshells took home the Bowl trophy in the Women’s Divisions. The High School Division featured some of the top up and coming players in the Carolinas. Coming out of pool play, Myers Park and Chapel Hill were the top two seeds in the tournament. Both sides continued their strong play all the way to the championship match. Myers Park toppled the local Clayton Copperheads in the semifinals to advance to the title match. Chapel Hill took down South Mecklenberg to pave their way into the finals. The Championship match didn’t disappoint as the two sides traded shots with the match coming down to a conversion as Myers Park won the High School Championship with a slender 28-26 victory. In the High School Bowl final Cape Fear defeated the North Raleigh Redhawks. 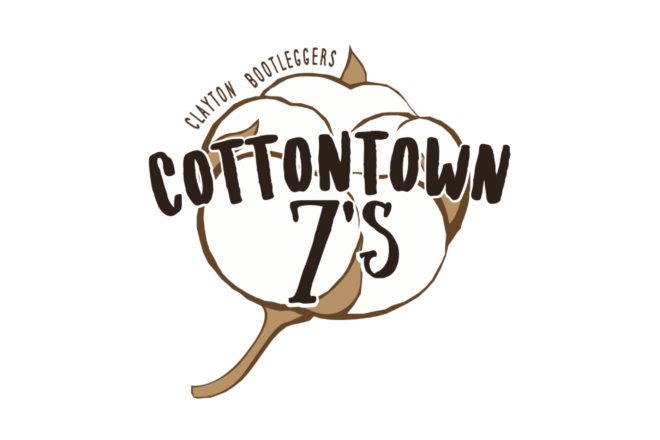 Tournament sponsors for the CottonTown 7s include Deep River Brewing Company, World Rugby Shop, and the Johnston County Visitor’s Bureau. The 3rd Annual CottonTown 7s Rugby Festival has been set for Saturday July 14, 2018. Stay tuned for details as they become available early in 2018. The Clayton RFC is aiming to make the next CottonTown 7s the first big event hosted at the new Clayton Rugby Park.